Mo – Fri: 7:00 a.m. – 11:30 a.m. and 12:30 p.m. – 4:00 p.m. The company is registered in the Company Register maintained by the District Court in Hradec Kralove, Section C, Insert 26603. JPJ Forest, s.r.o. has been manufacturing special off-road trailers and multifunctional forwarders designed for work quads, ATV/UTV vehicles and compact tractors already since 2009. Our traditional trailers and forwarders are sold under the JPJtrailers brand name. 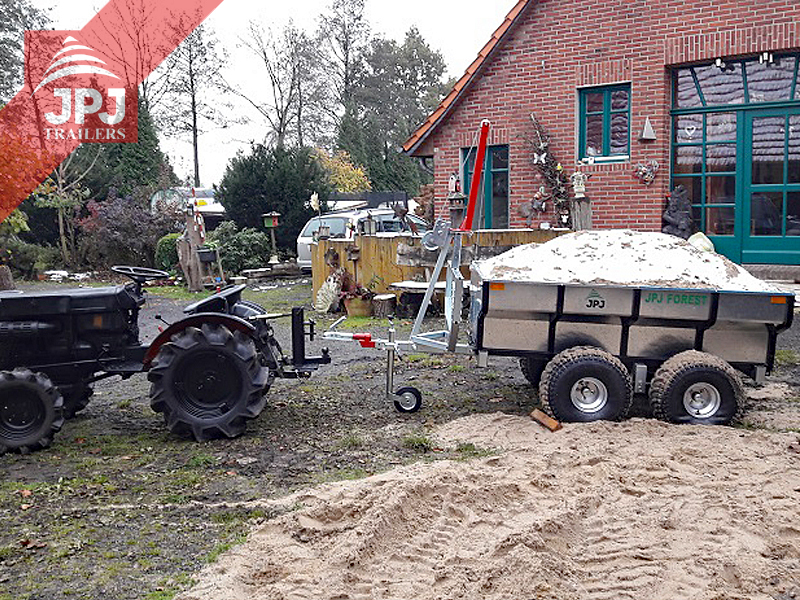 The ATV trailers have already become legendary in their area and they dictate the appearance and character of the entire field on the European market. Product quality and customer satisfaction are an absolute priority for us and these values have been also demonstrated by the ISO 9001 certificate and CE declaration on conformity. We are a manufacturer that sells directly to end users. That is why we can always supply necessary spare parts fast, why we understand your requirements and why we fully stand behind our services and products.